Blüthner No.72917. SOLD but repeatable. A “Style-V” grand (5’7″), in full grain French polished rosewood, with turned legs and lyre. 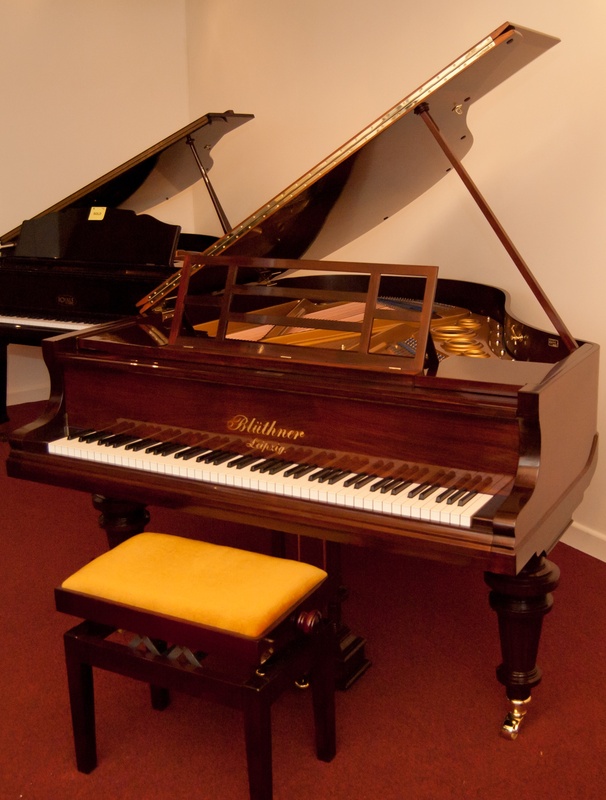 The piano has been re-built as new, work included – new soundboard, new wrest plank, full re-string, French polish (from bare wood), and a complete action re-build, with Abel hammers. 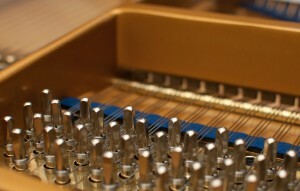 The piano is complete with it’s original Blüthner patent action (also known as an “Abstract” action, or a “Golden Touch”). The feel of the Patent action is a little different from the modern “roller” action – it has a very slightly shallower touch depth, and when properly regulated there’s no “aftertouch”. Repetition is slightly slower than modern actions, but the touch is very light, resulting in “pianissimo” playing being very easy to achieve, and the mechanism is extremely quiet compared to “roller” actions.